In Black PVC: quiet and without ball bearings. Recommended for doors under 10 ft. / 3 m. in width. In steel: with ball bearings. Ask for rollers with at least 10 ball bearings. In PVC-covered steel: quieter, for single or double doors, with 11 ball bearings. 99% of residential doors come with 2 in. 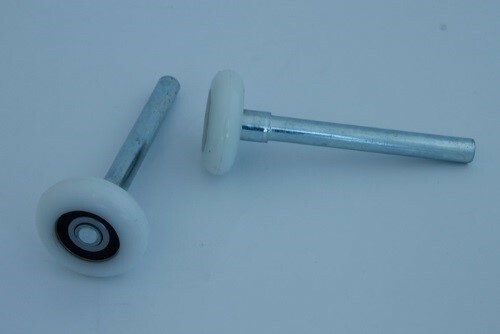 (50 mm) diameter rollers. 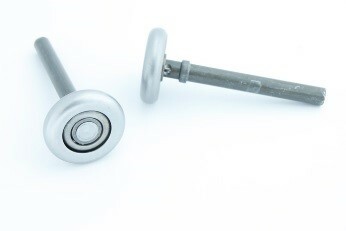 First and foremost, in steel, for 2 or 3 inch hardware, for single or double hinges. 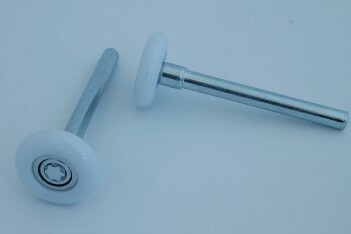 Rollers come in diameters of 2 or 3 inches (50 or 76 mm). 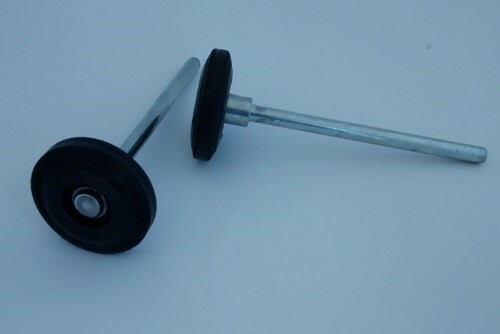 Car or truck wash: rubber rollers for heavy-duty applications and better protection from rust. Precision rollers: for very large doors. For your safety and that of your loved ones, we recommend that you contact a garage door technician to evaluate the state of your rollers or to replace them. Can I extend the life of my rollers? Yes, by lubricating them twice a year. Remember that a roller must roll, not slide, in the track. 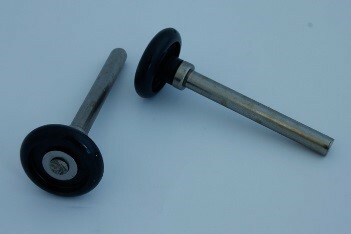 Can I change a broken roller by myself? Yes, just so long it isn’t the roller at the bottom of the door. Also ensure that your electric garage door opener is disabled (disconnected from the electric outlet) so that no one can open the door with a remote control. However, we do not recommend it. If you notice that a roller is broken or on the verge of falling off, contact us as soon as possible so we can come and correct the situation. Immediately block the door to be sure that no one else uses it. The repair service we provide is prompt because we keep the necessary spare parts in our warehouse. As well, we guarantee both our work and the parts to be changed. We also take advantage of our visit to adjust any other components that may be failing. 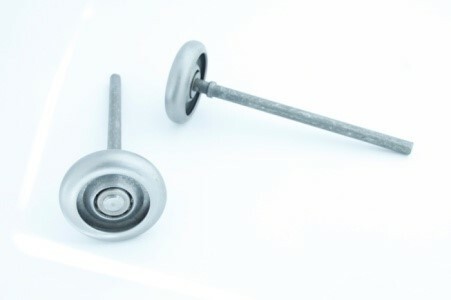 If we see that there are other parts that need replacing, we will contact you before changing them and will give you an estimate of the replacement costs.